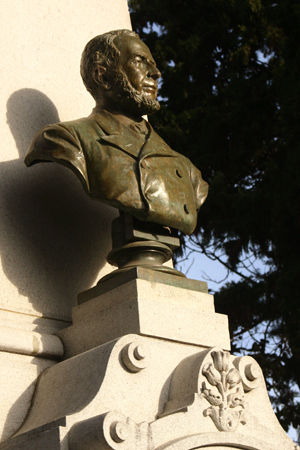 Born in San Juan in 1821 to a US immigrant father & a criolla mother of Welsh descent, Dr. Guillermo Rawson exercised enormous influence during the early years of Argentina. 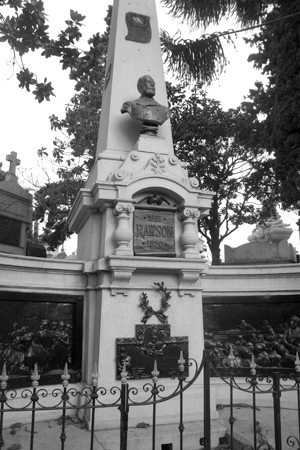 Completing medical studies in Buenos Aires with honors in 1844, Rawson returned to San Juan to set up his own practice but also became involved with politics. Opposing Rosas & at times even at odds with Urquiza, Rawson returned for good to Buenos Aires in 1861 where he was given a seat in the Senate. So much was happening in politics at the time & Rawson landed in the middle of it all. After reinstatement of Buenos Aires in the Confederation following the Battle of Pavón, one of the biggest issues became where to place the national capital. Many Senators were against the idea of Buenos Aires due to the Rosas era & subsequent conflict, but Rawson argued that national & local powers should share the same space in BA temporarily… a way to heal the wounds & learn to work together. His plan worked until 1880 when the city of La Plata was created to govern the province. 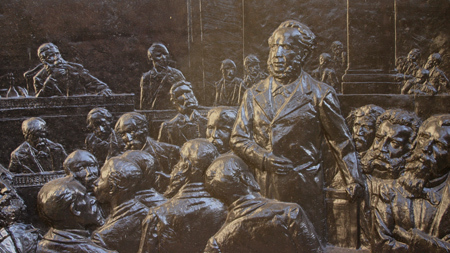 In 1862, President Mitre elected Rawson as Minister of the Interior. 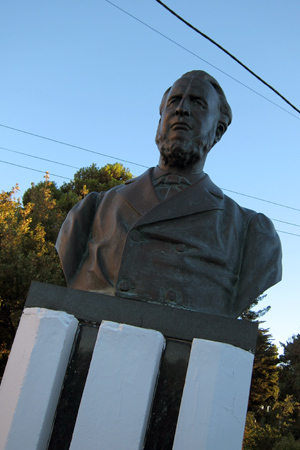 He was responsible for approving construction of the first train lines in Argentina. Another of Rawson’s major projects—likely because of his family history—was granting permission for Welsh colonists to settle in Chubut. As a result, they named the settlement after him (Trerawson in Welsh, or “Rawson’s town”), & it is now the provincial capital. Disputes with Domingo Faustino Sarmiento & Rufino de Elizalde would cost him a bid for the Presidency, but Rawson remained in national politics by serving in the Congress. His focus returned to medicine during the later part of his life, studying epidemics & health demographics… perhaps because of the death of his brother, Benjamin Franklin Rawson, during a yellow fever epidemic in 1871. 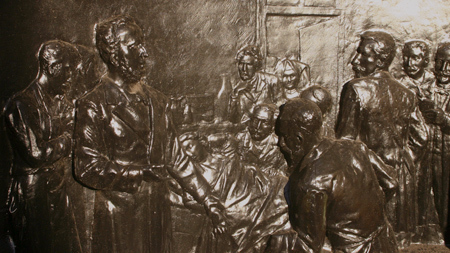 In 1880 along with fellow doctor Toribio Ayerza, Rawson founded the Red Cross in Argentina. Dividing time between teaching, research & trips to France for a cataract problem, Rawson died in Paris in 1890 with barely a cent to his name. His remains were returned to Argentina two years later & eventually placed in a crypt in Recoleta Cemetery.